L.A., etc...: Halloween Chamber of Horrors @ Hollywood Museum! 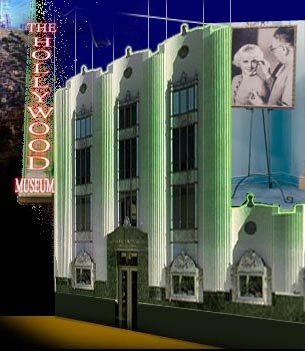 Take the scenic route and celebrate Halloween at The Hollywood Museum in the historic Max Factor Building in the new "Chamber of Horrors" showcasing your favorite terrifying costumes, masks, corpses, mummies, posters and props from popular horror genre films and TV, now through November 2nd. The ‘Chamber of Horrors’ screams to the top of the list of must-visit Los Angeles Halloween haunts. You're invited to experience this entertaining, spine-tingling attraction featuring original memorabilia from the 1930s to present day featuring favorite horror-themed motion pictures and television. But beware! Don’t be shocked if there’s a surprise visit by Hannibal Lecter or Michael Myers all amidst the haunted church pews from "The Exorcist." Located at 1660 N. Highland Ave. (at Hollywood Bl.) and open Wednesday through Sunday from 10am- 5pm. $15 for adults; $12 for seniors and students under 21.